Well, the fact of earning money on YouTube is out of doubt. Pretty much anyone can do it. The only question is: How much you can make out of it? It’s not an easy task to get active subscribers and viewers in order to make a living out of it, or at least some pocket money. Basically, how much money you are going to make on YouTube depends on your channel itself and how much time you are going to invest in it. Averagely, youtube monetization for 1000 youtube views ranges from 0.5 to 2 USD based on the location of viewers and the target audience. The numbers vary a lot, but most channels get 0.5 USD per 1000 views. 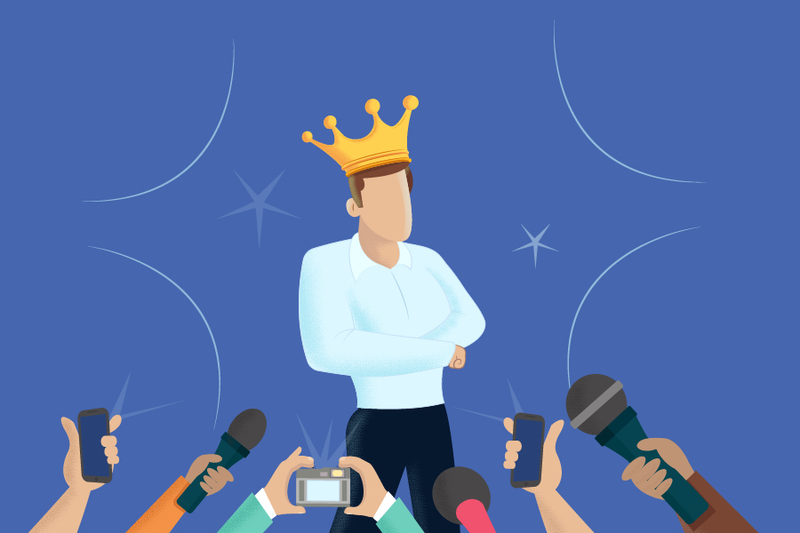 If you want to know how to engage viewers and earn money on YouTube, keep reading because this article is all about it. How do YouTubers Get Paid? How Much does YouTube Pay? The spirit of Easter brings joy, peace, and yet another discount! Celebrate one of the most colorful holidays with Renderforest. Over time, surveys and studies have shown that making money online is a convenient way for millions of people to generate revenue by monetizing skills, opportunities, and talents. Monetization of skills is converting your skills into money. YouTube, being founded approximately 10 years ago and, having more than 819,417,600 hours of video, is considered the second online search engine and is a perfect place for you to make money by creating and uploading videos. On YouTube, you make money based on the number of views. So, in order to maximize your revenue, you will need to upload videos to your YouTube channel and attract a high volume of traffic. You have all the opportunities to start here but you need to do it good enough to interest other people by creating engaging and interesting video content, that will be recognizable among thousands of others and attract a high volume of users. Successful YouTubers usually start their video with an intro. There are many YoutTube intro makers out there, which can help you to create a high-quality intro to give your videos a professional look. Here’s a tutorial on how to create a great intro in several minutes for YouTube without additional technical knowledge. To create your intro, you need a channel logo which can be easily created with the help of logo maker tools. The direct way to earn money from your YouTube channel is associating it with an approved AdSense account. 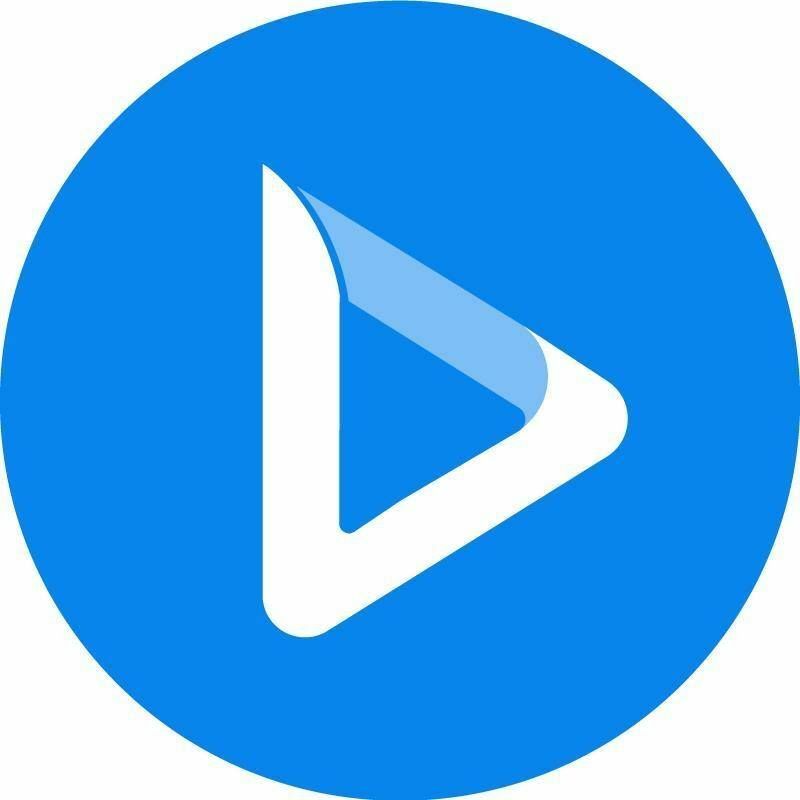 Not all videos are eligible, so you must first meet video monetization criteria and YouTube Advertising formats to use this service. AdSense doesn’t provide any withdrawal options and once you have more than your minimum amount (usually $100), the money will be transferred directly to your bank account on a monthly basis. In a few countries AdSense issues checks, but they do direct deposits for most of the supported countries. Keep on reading to learn how to earn money on YouTube and read the success stories of famous YouTubers. JennaMarbles is one of the most successful YouTubers. With about 1.8 billion total views, the yearly income of her YouTube channel is around $350.000. Her secret to success is making videos that are highly appealing to viewers. If you post catchy content, you can get active YouTube subscribers and more views. Besides, you need to optimize your channel to rank high on Youtube, which will help you improve your visibility. The amount of money you make on YouTube depends on your efforts to publicize your channel. To get more views and make more money on YouTube you need to market your videos on the web, for example on your personal blog or website, social media, or other video sites. Embedding the video or sharing the link on the internet increases the chances of getting noticed. You need to plan all the details of your video marketing campaign. Once you have created an active YouTube channel, you can apply to become a YouTube partner. If you’re granted a partnership you can access a large variety of content creation tools and get an opportunity to win prizes based on the number of views you have. You can apply for the membership anytime, but to get top rated partner programs, you should have accumulated 15k hours over the last 3 months. YouTube starts to recognize your eligibility even before checking your application. If you wonder how many subscribers you need to make money, you should know that it is not really the number of subscribers that matters but the number of views. YouTube pays per view, however, it’s most likely that someone with 10,000 subscribers has higher chances to get 1,000 views than someone with 1,000 subscribers. What comes to advertisers, they only pay when subscribers click ads or watch a video for half a minute. This means that if your video gets millions of views but no one clicks on the ads, you won’t make any money. YouTube Analytics provides a wide range of reports and metrics for you to monitor the progress of your videos and channel. A variety of YouTube stats and reports including Traffic sources, Watch time, and Demographics reports are available. You can use your computer or mobile device to view the metrics. 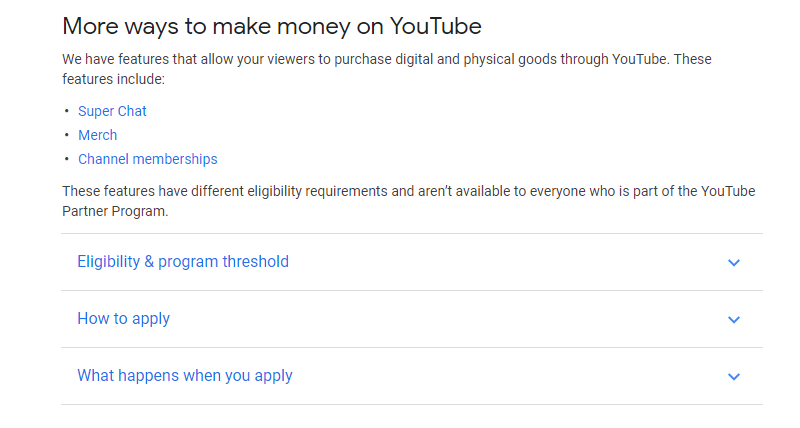 YouTube view statistics update you on your account’s earning, and you will only be paid if you fully comply with YouTube’s payment threshold. Another way to make money on YouTube is affiliate marketing, yet most affiliate marketers don’t put enough efforts to generate significant revenue. Like most of the affiliate marketers, you may be using static blogs to drive traffic to affiliate links, but you can supplement this with an active YouTube channel which you can use as a primary catalyst. The internet is gradually moving toward videos as the major form of content, and taking this step will put you ahead of the competition. Other ways to make money on YouTube include attracting sponsorships and transitioning into live speaking engagements. There are still plenty of skeptical people in this world who do not believe that it is possible to make money on the Internet. Calculating how much a YouTube creator makes annually is no simple feat. Here is a list of the most subscribed YouTubers in the world in 2019. Now, let's see who are the top richest YouTubers. Hank Green is a famous YouTuber who runs the Vlogbrothers YouTube channel. Green currently works on the same YouTube channel with his brothers. His net worth is $3 million. Lilly Singh is a Canadian YouTube blogger, comedian, actress, and writer. Singh started making YouTube videos in October 2010. After 2 years, she got her silver play button in 2012. In her second channel, she uploads "behind the scenes" and her daily activities. Her net worth is about $16 Million. Rosanna Pansino is an American baker, actress, and YouTuber. Pansino currently has over 8 million subscribers. Her net worth is about $9 million. She had uploaded more than 400 videos as part of her Nerdy Nummies Series. Jenna Marbles is an American YouTube comedian actress and blogger. After a year of starting her YouTube channel, Marbles made the video ”How to trick people into thinking you are good looking” which quickly went viral within a few days. She has over 19 million subscribers, and her net worth is about $4 million. Roman Atwood is an American YouTuber, Comedian, Vlogger, and prankster. Atwood’s vlogging channel name is ”RomanAtwoodBarelyVlogs” and has more than 15 million subscribers. He is the second person to receive two diamond play buttons. His net worth is about $12 million. Grace Helbig is an American comedian, YouTuber, actress, producer, and writer. Helbig started her YouTube journey in 2007. In attempts to keep her entertained by recording daily vlogs while sitting at home with her family. Now she has over 2 million subscribers. Helbig’s videos have been watched more than 260 million times. Her net worth is about $3 million. Mark Edward Fischbach is an American YouTuber known as Markiplier. Markiplier’s channel is the 22nd most subscribed channel on YouTube. He started making youtube videos in 2012. Aside from his let’s play series, he also uploads various comedy videos and vlogs. His net worth is $24 Million. Smosh is currently a YouTube channel that consists of two individuals Ian Andrew Hecon and Daniel Anthony Padilla. They have over 8 billion total video views and their net worth is about $12 Million. Pewdiepie whose real name is Felix Arvid Ulf Kjellberg is popular for his gameplay videos and vlogs. He is the only YouTuber with The Ruby play button. Pewdiepie started his YouTube channel in 2010 and left the university to start making videos. He donated millions of dollars to various charitable causes over the years. His net worth is $20 million. Michelle Phan is an American make-up demonstrator and entrepreneur who became famous on YouTube due to her make-up channel. Phan started her YouTube channel in 2007. Her success on YouTube has also led her to embark on various business endeavors, for instance, her monthly beauty product subscription service and her own line of cosmetics. Her net worth is $50 million. You are not being skeptical now, are you? These vloggers didn’t become famous in one day. Their success was a result of hard work and dedication to their career. Create your unique videos, share them and increase the engagement with your audience. Work hard, dream big, and become successful. Dive into our Forestblog of exclusive interviews, handy tutorials and interesting articles published every week! How to Plan Your Online Advertising Campaign? Do you want to get fresh content each week?